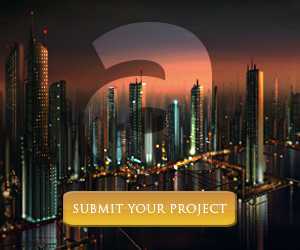 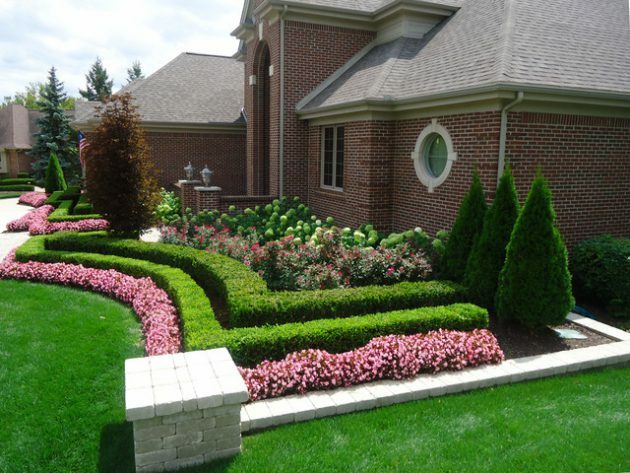 With modern constructed house fits the architectural garden, decorated with strict straight lines. 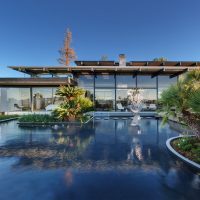 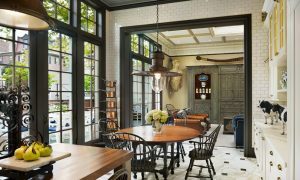 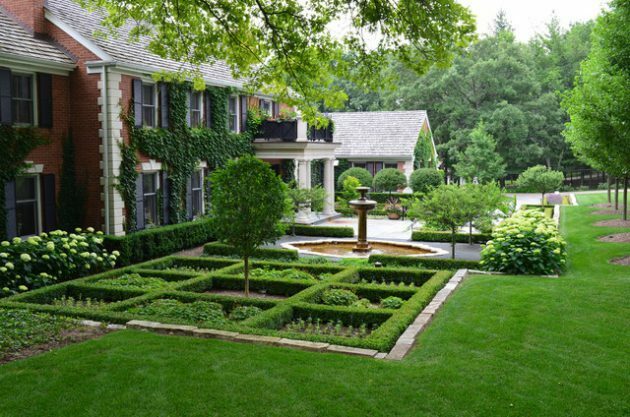 Because of the simple and modern lines of the house, the garden with its look and style complement the style of the house. 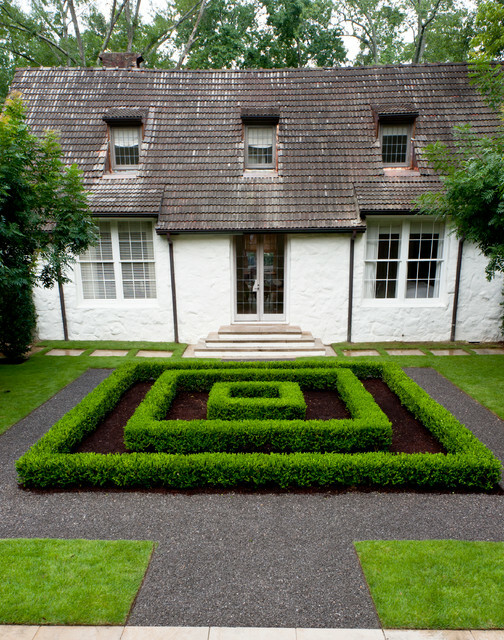 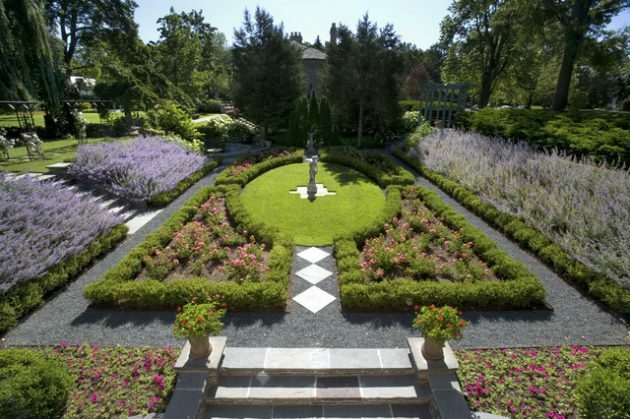 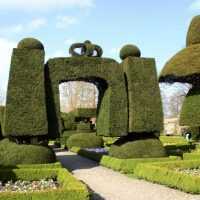 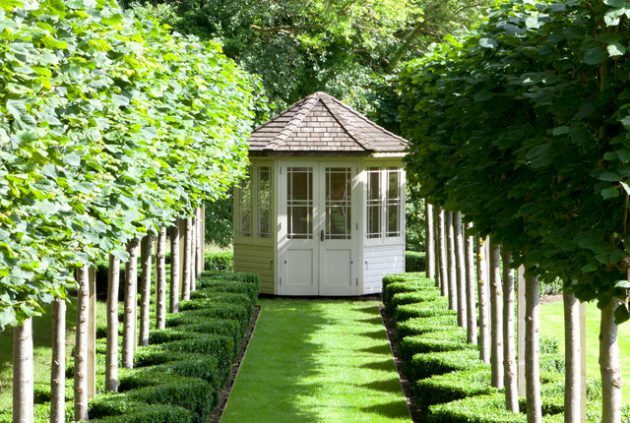 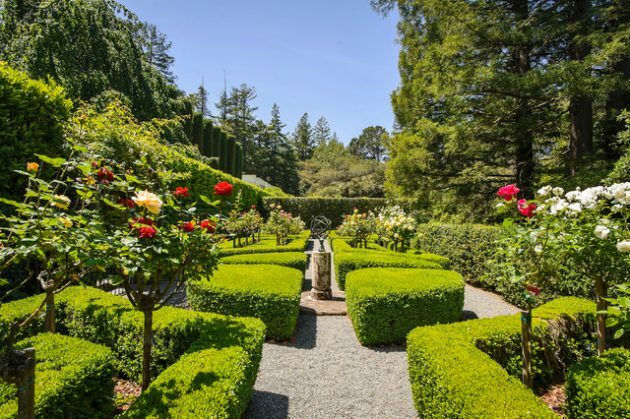 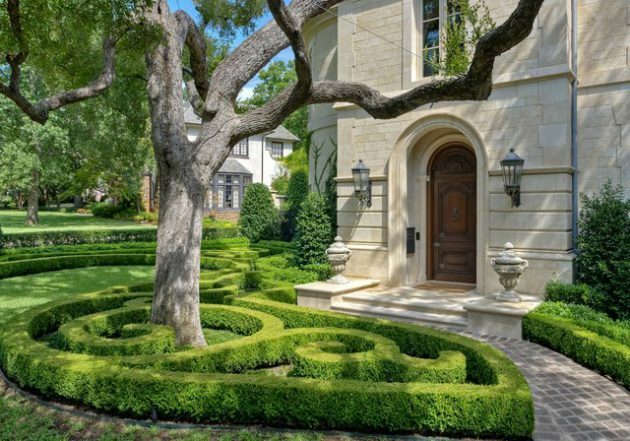 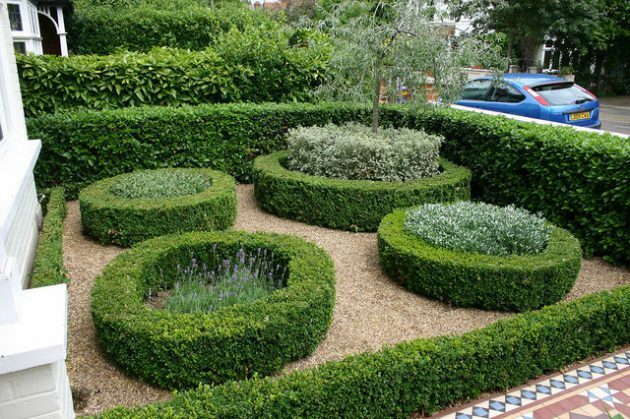 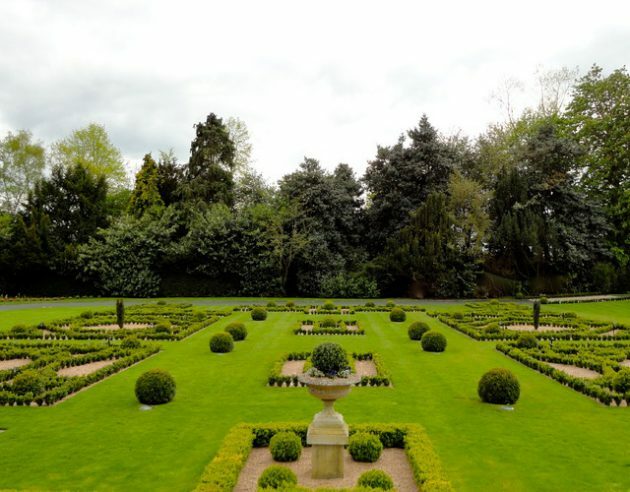 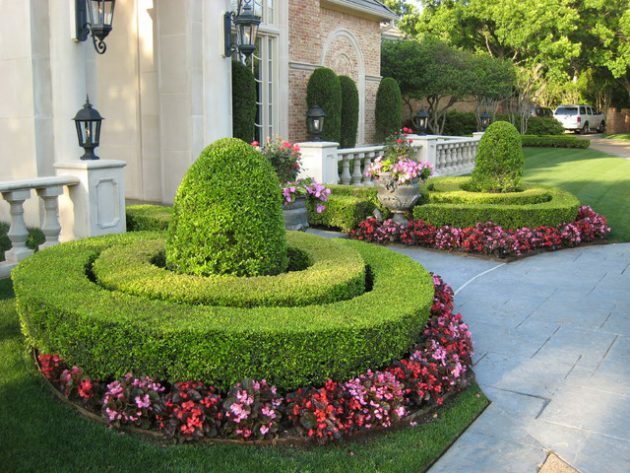 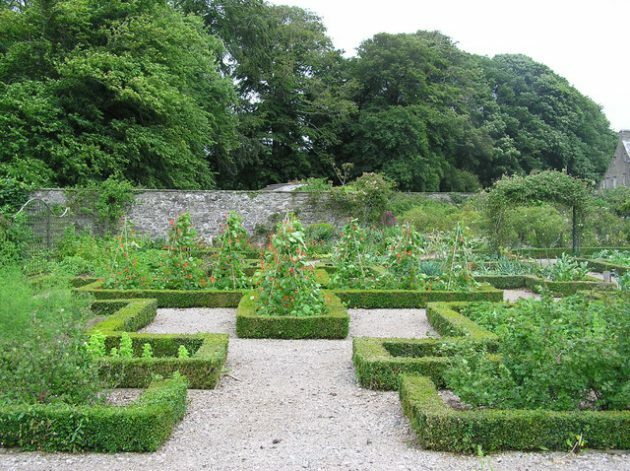 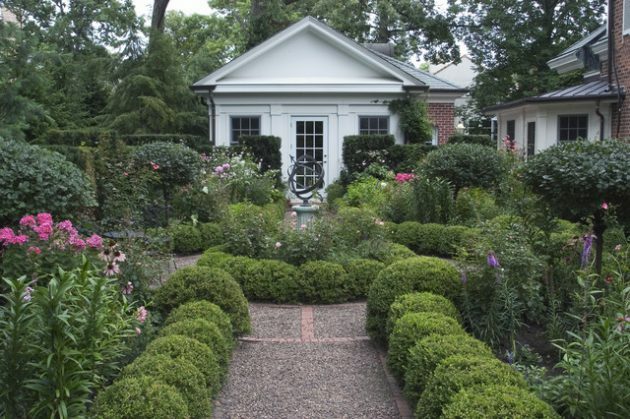 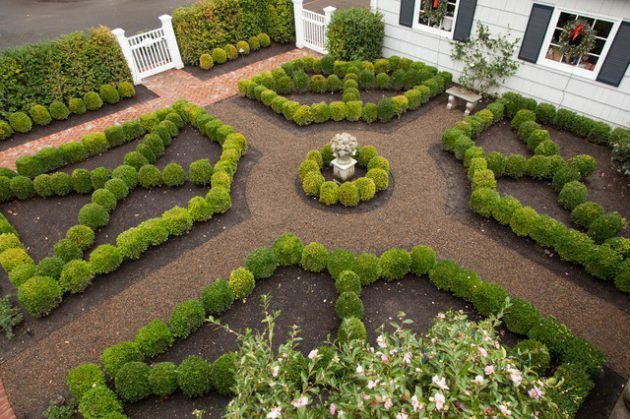 Straight geometric forms that make up concrete elements enclosing a garden or green space plates that are like rectangular islands, with geometrically arranged and cropped hedges formed by properly cropped seedling boxwood (Buxus sempervirens). 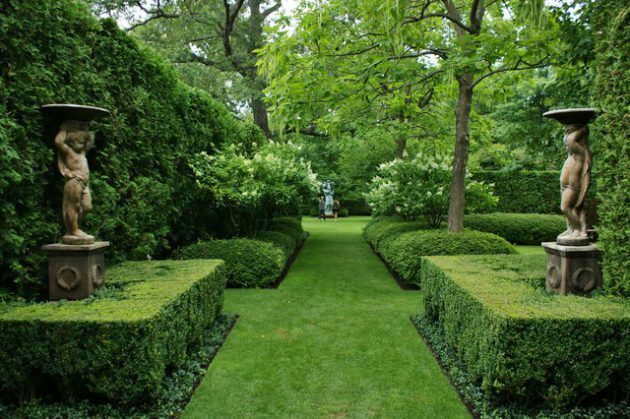 Boxwood is the best choice for the formation of such low formal hedges, a big advantage is that slow-growing but it is not necessary often cropping, and it is an evergreen species that his beautiful green appearance and retains during the winter months. 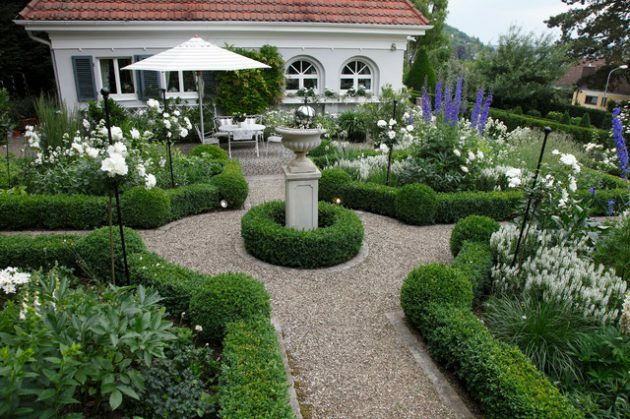 But in the proper, geometric world has also rounded, softer lines such as ball bushes with their delicate white spherical leaves and gentle crown will contribute to the whole appearance of the fence of the garden. 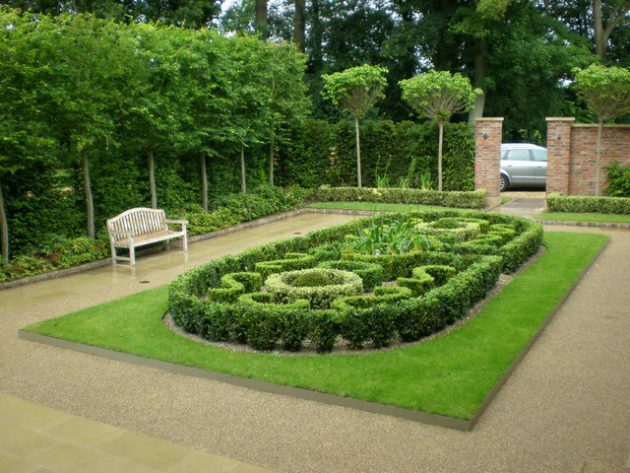 The gravel in modern gardens is often a substitute for the water element of the garden (Japanese Zen gardens) or a lawn that needs regular mowing, watering and supplemental feeding and as such much more demanding element of the garden. 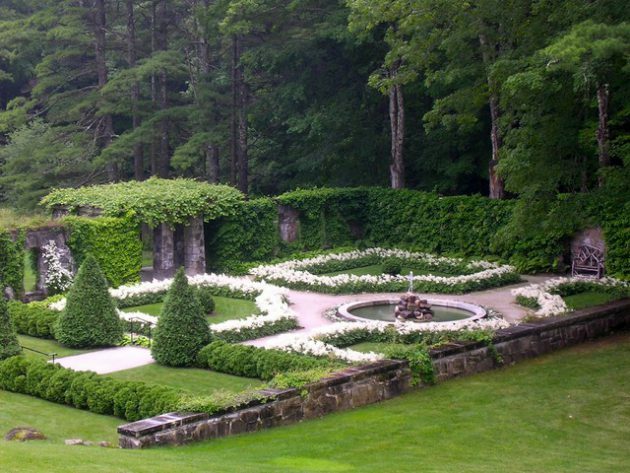 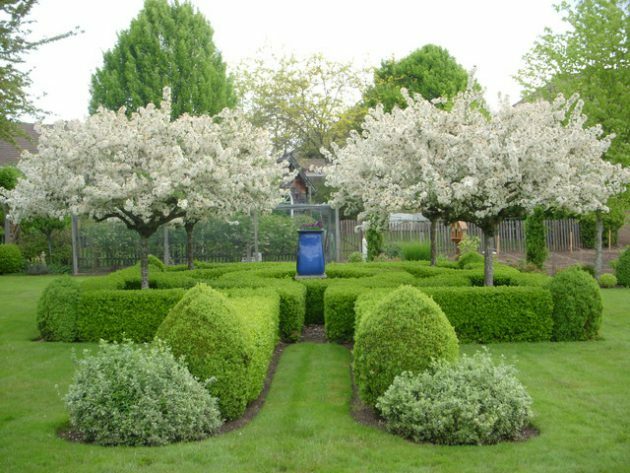 Formal garden requires less attention and effort to maintain, which is probably the guiding principle in the organization of this garden. 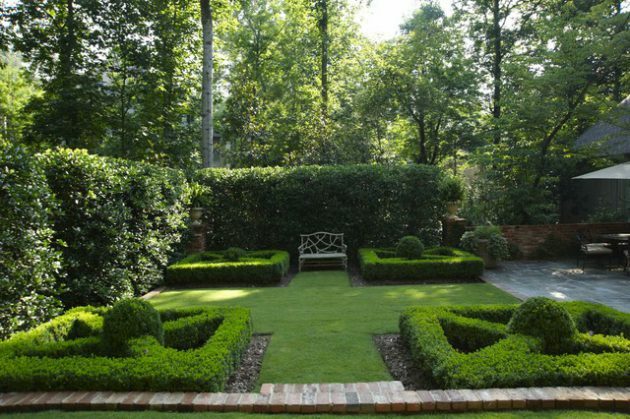 Dominated by simple lines and visibility, nothing too much and too little of nothing. 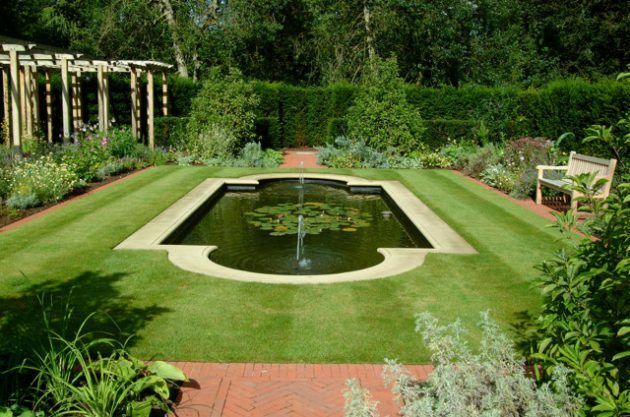 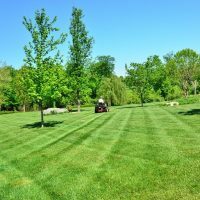 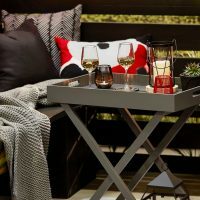 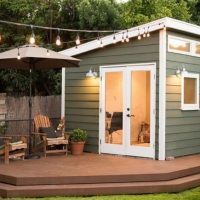 This garden is a suitable choice for the modern man who does not have too much time to spend on the maintenance of the garden but still want a garden that brings a sense of peace, simplicity and serenity.